We pride ourselves on our performant, responsive and accessible web applications, our interactive experiences and games as well as our hardware based applications with all of them receiving the same, extremely high attention to detail. The major players in the frameworks/libraries category right now are (https://angularjs.org), Angular and React. We have been producing applications with AngularJS since v1.2 and we are now producing web component based applications in TypeScript with Angular. We have always conformed to the Angular style guides when writing Angular applications to maintain our code style and standards. React is a highly performant library bringing many features similar to Angular but in a different way. We primarily focused on Angular applications but love the nature of React based code and with RxJS included with Angular; we are able to write Reactive applications that include some of the best features of React and Flux - right in our Angular applications to get the best of both application styles. We love R&D so much that we created a little "division" just for playing around with hardware and software. 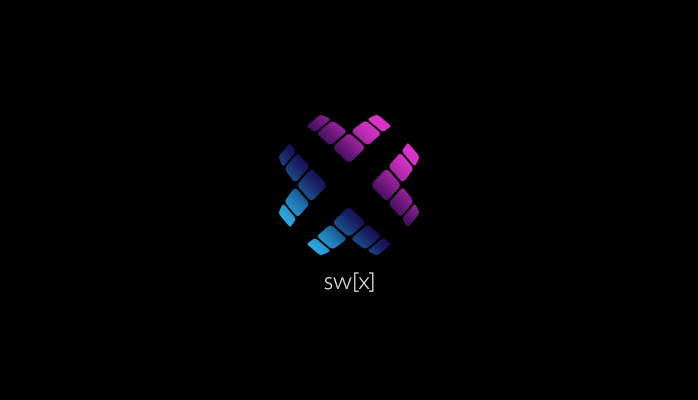 We call this sw[x]. We make things under the sw[x] name as part of our alpha and beta cycles and for things we're just messing about with. From AR to VR, Arduino & Raspberry Pi to crazy Robotics; we have a number of exciting projects and ideas that we're working on when we get the time and we hope to bring a few of them to market in the future as well as opening them up to the open source & open hardware communities. We've been creating engaging, rich media learning applications and educational games since 2003. We've produced educational content for primary and secondary school children through the BBC and educational CD-ROM companies, entry-level and advanced online learning for adults through Ufi Learndirect, UK Online Centres and Good Things Foundation as well as educational courses and activities for adults with disabilities and/or special educational needs. We are pioneers of creating rich and accessible content and experiences and believe that absolutely everyone has the right to access creative, digital platforms and devices. We absolutely love making things, fixing things and solving problems. We've been doing this sort of thing since 2003 and we'll continue to do it for as long as we can. We live, sleep, eat and breathe technology & tinkering and we can't get enough of it. Games, web based applications, desktop and mobile apps, IoT, AR, VR, basic AI, deep learning, automotive applications and even freakin' robots! We've produced work for a multitude of clients including AHC, Astra-Zeneca, the BBC, Coca-Cola, Corus, HM Prison & Probation Service, Jaguar, Lexus, Manchester Airport, The Ministry of Justice, Radical Company, The Rack Group, Sky Bet, Sky Sports, Tinder Foundation, Toyota, Ufi Learndirect, UK Online Centres, WAN Disco and many, many more. As noted above; we are passionate about open source and open hardware and we have already made a number of contributions in these areas. We have big plans to open our major software and hardware ideas in the future.